Based on some popular use cases for Hive, we've built these templates that you can copy into your Hive workspace, just click the link to copy into your Hive workspace. Note: you must be logged into Hive at the time of clicking the link to import. This template relies on Status View to map the agile development process. Each card represents a feature or development item. Using Phases, this template includes Strategy, Brand Design, Launch, Monitor and Close-out Phases. 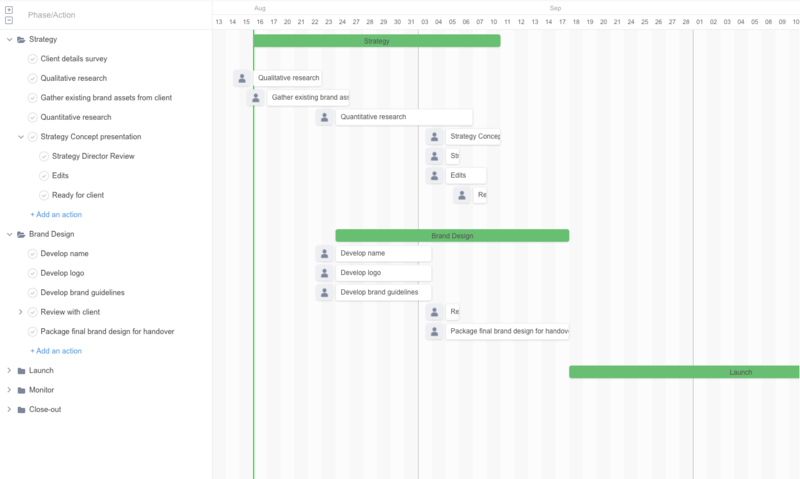 Phase bars can be dragged in gantt to quickly re-align the timeline based on client updates. The content calendar utilizes both status view and table view to keep track of each piece of content in the Idea / Draft / Publish lifecycle. 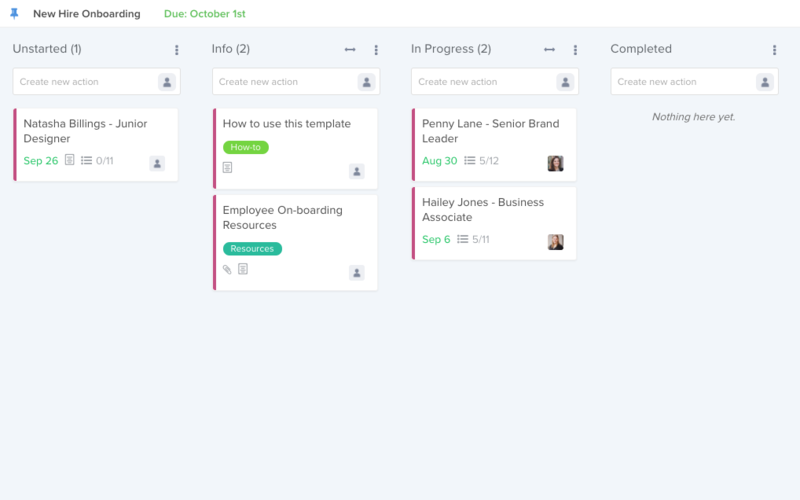 Using a series of subactions on each action card, and status view to proactively plan to onboard new employees. 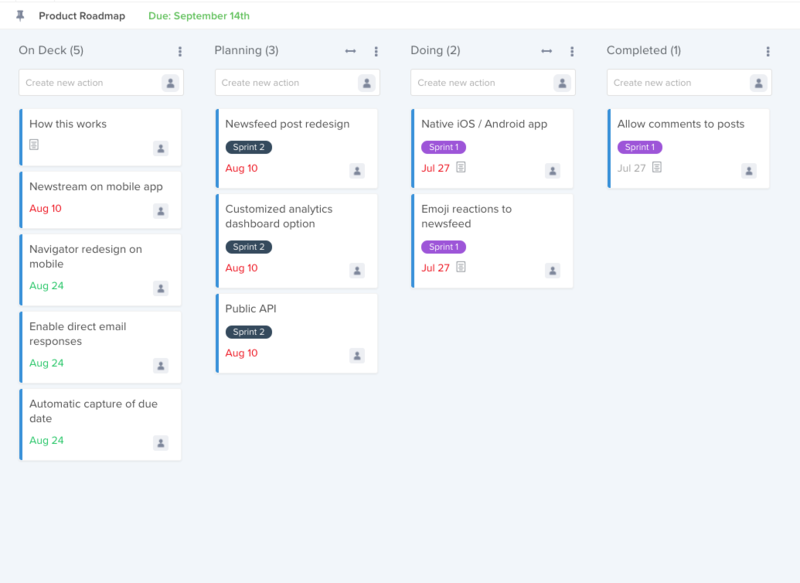 A traditional kanban-style status view to clearly see which product features are planned, in progress and completed. 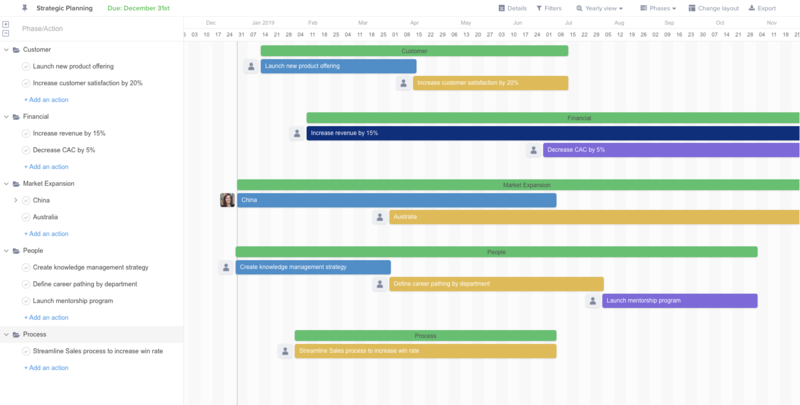 Keep track of business initiatives or department/company KPI's together in one project, with a gantt layout organized by phase.